The European Organization of the Sawmill Industry (EOS) has participated in a meeting in Bratislava on June 27 jointly organized by FOREST EUROPE, the United Nations Economic Commission for Europe (UNECE) and the Food and Agriculture Organization of the United Nations (FAO) entitled Promoting Green Jobs in the Forest Sector. Nearly 70 participants from 18 European countries – representing FOREST EUROPE signatory countries, the UN system, the European Commission, government Ministries and organizations, nongovernmental organizations, science and academia, training centres, European forestry associations, private industry, forest certification organizations – were in Bratislava for the occasion. The essential themes of the workshop included promoting and development green jobs, identifying new skills that will be needed by the European forest sector, and supporting sustainable development and the transition to a green economy. In her keynote speech, Gabriela Matečná, Minister of Agriculture and Rural Development of the Slovak Republic, stressed that globalisation, digitalisation, changing requirements of society, and changing labour markets influence the forest sector. She added that if the forest sector wants to stay economically viable and maintain its role in society, it cannot ignore these trends. It is becoming evident that diversification and new technologies will be dominating a future forest sector. Policies to promote greener products, services, and infrastructures must be encouraged as the ILO sees not only a social and environmental opportunity, but also an economic one. The message of Mr Protić is that the transition to a greener economy will provide also occupational opportunities, so there is no contradiction between economic growth and decent and environmentally sustainable work. 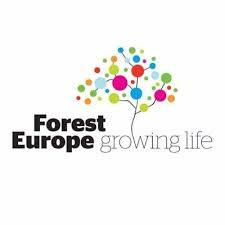 In the next presentation, Mr Michal Vančo of FOREST EUROPE stated that while almost 3 million people in Europe work in forestry or forest-based industries the number of employees in the sector is decreasing. Over the next decades the challenges will further intensify as 30% of the forestry workforce is older than 49. The sector suffers from a not too good reputation, Mr Vančo argued, which is a pity as it provides rural jobs and could help counter the depopulation of rural areas. communication, conflict management and entrepreneurship skills. To render the sector more attractive, wages could be higher, but that is feasible if productivity increases. Thus, technology is crucial even from this point of view. Building with wood and new materials made from lignocelloluse biomass show the direct contribution that the sector can give to the concepts of bio-based and circular economy. Mr Vančo concluded by emphasizing that possible measures to strengthen social aspects and promote green jobs include creating the right policy environment, and devoting the necessary funds to research, innovation, training and education. Mr Diarmuid McAree, Deputy Leader of UNECE/FAO Team of Specialists on Green Jobs in the Forest Sector, is the next speaker to intervene. In his view, a green forest job complies with the principles of sustainable forest management, contributes to the green economy and is involved in the value chain of forest products and/or in the performance of forest services. According to UNECE/FAO, employment in the forest sector in the ECE region (North America, Europe, Russia) has declined by 21% in the decade to 2010, and by a further 14% since (data available until 2014). What is more, over the period 2000-2011, the contribution of the forest sector to Gross Domestic Product (GDP) in the ECE region decreased by 50%. But there was a growth in green jobs: over the period 2002-2011, employment in the environmental goods and service sectors in the EU-28 increased by 40% from 3.0 to 4.2. This includes a growth of 20% during the recession years. Mr McAree explains that the FAO Team of Specialists has individuated a number of professions that could increase occupation in the forest sector. Some of fields that could see an increase of occupational potential are the following: biodiversity and forest protection (from pests and fungi, for instance), wood and energy production (for instance experts in energy wood procurements), mountain forestry, urban forestry (to help abate air pollution, and reduce noise), recreation forestry (both leisure and health-related benefits of forests). Such fields have the potential to increase the occupational appeal of forestry sector to the benefit of the whole sector. Sweden’s bio-economy constitutes 7.1 percent of Sweden’s total value added (GDP) and 22.9 percent of the total goods exports in 2014. Predominant components of Sweden’s bio-economy are forestry and the products that are made from forest raw materials. Approximately two thirds of the total value added within the bio-economy in 2014 came from the value chain that starts with forestry. To the satisfaction of the sawmill industry, he emphasizes that the building of houses and flats is one of the most important industry for the total value of the bioeconomy: if the goal is to promote a rapid development of the bioeconomy, policy instruments should be directed at increasing the building of wooden houses. Moreover, more long-term development of the bioeconomy will need new products developed for new markets, a substitution of fossil-based products. Bio-economy is not only bio-energy, new products and wood construction and almost all sectors in the economy are important. Move the Bio-economy from “niche to norm”. Several policy initiatives in Sweden relating strongly to Bio-economy. Almost all is drivers for economic growth and new green jobs in the forest sector. Programs, strategies, platforms etc. are important but equally important is to implement policy instruments that really promote a broad shift towards a Bio-economy. Important to remove barriers, such as laws, regulations, institutions, taxes and subsidies, habits and pattern of thinking that has been formed over a long time. Moving to a Bio-economy will support new green jobs in rural and urban areas. Finally, he cautions against a challenge that in his opinion will become more and more apparent in the next few years: there will be increasing conflicts about how to best use forests.